Chinese government intervention in If You Are the One, a popular dating show, is revealing. Foreign audiences are seeing firsthand what happens when reality TV in China becomes too real. A politically scrubbed version of the Chinese dating show, If You Are the One, is now being exported to Australia, and with it, a unique insight into the sensitivities of the Communist Party and its political stage-managers. The crucible of If You Are the One takes the form of a series of stages where one male candidate is presented to 24 women, each with a light. After first impressions and once the bachelor has revealed more about himself, responded to questions from the female panel and shown video testimonials from friends and family, he will go on a date with whoever has left their light on for him, if any. Influential and popular TV shows in China invariably attract government scrutiny and dating show If You Are the One is just the latest in a long line of programs to come under the state microscope. Before If You Are the One there was Super Girl a Chinese clone of the Idol singing shows syndicated around the globe. 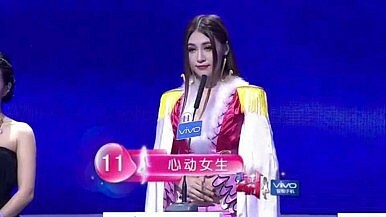 Super Girl, originally Mengniu Yoghurt Super Girl Contest, was eventually cancelled with many believing the reason was related to the democratic expression of voting for one’s favorite singer and the state criticism that it represented “low culture.” However the official reason was that episodes were too long. This was an ominous augur for what was to follow in the case of If You Are the One. For the foreign audience, these comments seem to fit with the growing narrative of materialism exemplified by not only the new, young urban rich, but also the slew of princelings and party cadres since ousted for excess and corruption. Meanwhile, those on China’s Twitter-like platform, Weibo, provide a different perspective from the other side of the wealth gap (that can still afford an internet connection) and are quick to condemn the type of comments made by Ma. In China, income disparity is one of the issues of most concern for the Communist Party, given its potential to undermine social stability. TV programming is a major tool for the Communist party and influence ultimately determines the level of scrutiny leveled by the SARFT. If You Are the One, like Super Girl, began to reach an incendiary mix of popularity, platform for commentary on domestic social issues and what the party considers “wrong values.” After SARFT intervened the average age of the women increased, additional levels of scrutiny from authorities were imposed before the show went to air and any mention of financial status or sexuality was abolished. Moreover, a party cadre joined the presenters and one of the more popular aspects of the show, the acerbic comments from the female participants leveled towards the bachelor has also been reined in. The unintended result of all these new regulations is a show more revealing for the foreign viewers than it was in its original “excessively entertaining” form. A recent episode featured an ethic Korean teaching IT in the country’s west who starts each lesson with a lecture on patriotism and the Chinese flag. The next contestant, a U.S. citizen, serenaded the female panel with poetry composed by Mao. In both cases, an overt attempt by each contestant to appeal to the new regulations is apparent, revealing that the show has transformed into a tool for the authorities to portray the “correct” cultural virtues. Neither of these contestants was successful, which could be attributed towards attitudes regarding foreigners dating Chinese women. One former American-Chinese contestant had his segment cut and was told by the director "You were censored because you were successful." Apparently, despite the frequency of Americans dating Chinese women, it is not something the government would like to encourage. However, one of the state newspapers, Global Times, offers some guidance regarding the appearance of foreigners on the show, suggesting that their participation may just be a ratings grab and that inherent “cultural differences” are an obstacle to a stable relationship. The Chinese title of If You Are the One (Fei Cheng Wu Rao, 非誠勿擾) literally translates into "If not sincere then do not disturb." Yet it seems the shows sincerity is the very thing that has attracted scrutiny from the State. William Hobart is a researcher at the Lowy institute and ResourcesLaw International.